OLD PARKED CARS. : Ben's 1983 Volvo 244 GLT Turbo Revisited, and Now Sold. 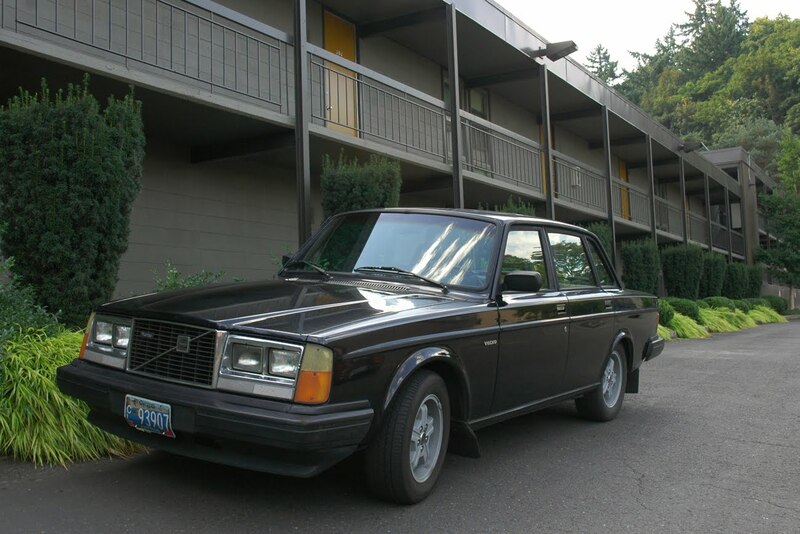 Ben's 1983 Volvo 244 GLT Turbo Revisited, and Now Sold. The car is now on its way to Seattle with a knowledgeable Volvo lover and OPCer. 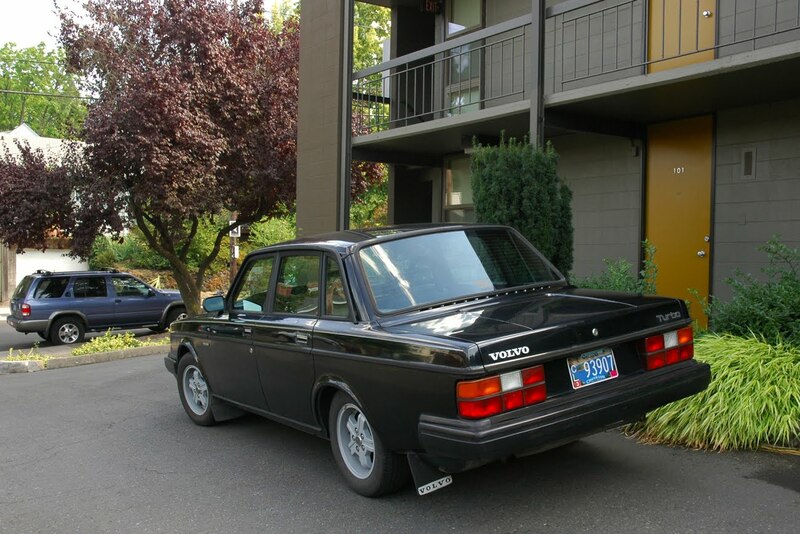 In the next year, he plans to give it a new black paint job and eventually swap in a 16 valve B23 Turbo hybrid engine. I'm looking forward to seeing Ben's next car! Another classic, I hope! Looks like a great deal for someone! Very cool car. Sweet. I'm anticipating the next ride! 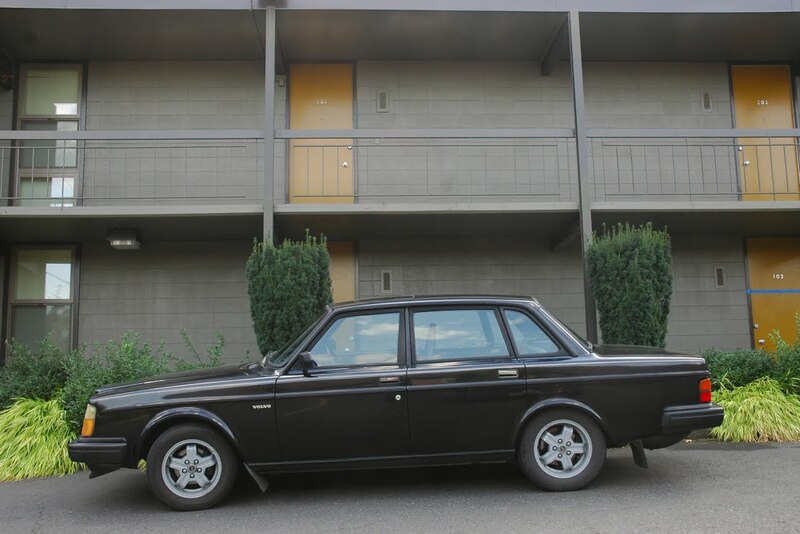 For $3k bucks, someone is going to get an appreciating classic! Badass brick, hope she gets a good home. They're boxy but they're good. Any chance he's a car blogger? It would be nice to see some pix of it in its new home. 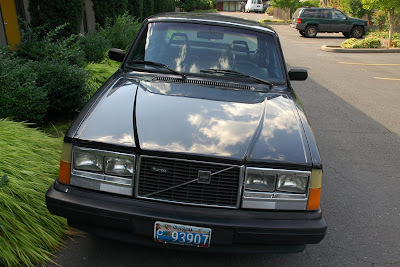 Or maybe he's a member of Turbobricks or one of the other Volvo mailing lists? My sister's first car was this car, (circa 92-93) but in manual transmission flavor, otherwise identical. She had NO idea just how cool a ride it was - a then only 10-yr-old turbo 244. (Just a little bit of sibling resentment here - the worst part was that she traded it in on a N/A 940 sedan without even letting me know she was thinking about getting rid of it). At least she still prefers driving stick over autotragic. Beyond that, not a car chick.